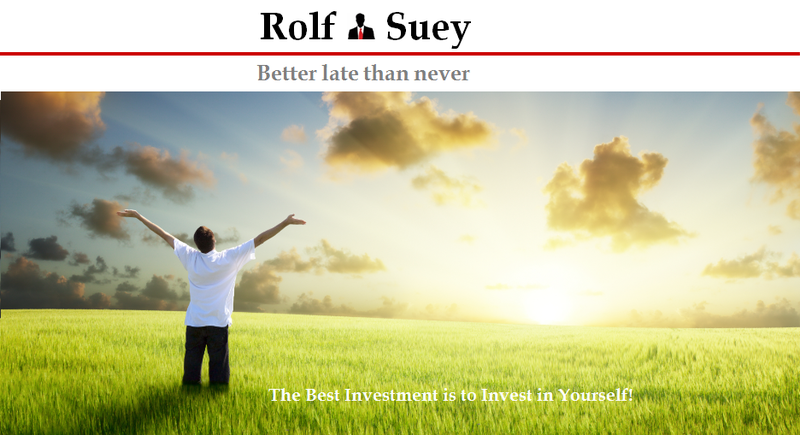 Rolf Suey - Better Late Than Never: My "VALUE?" stocks keep plunging. What should I do? Offshore, bank or telco stocks, which were glitter with success in the last few years, are seeing signs of precipice decline in one of the most difficult times since the last GFC. Since the start of the year, blue chips such as Keppel, Sembcorp Industries, Sembcorp Marine, Singtel, Starhub, M1, DBS, OCBC and UOB are all having their stock prices battered down. Sembcorp Industries during the peak in Apr 15 was priced at $5.25, but is now lingering less than halve at $2.23. Keppel suffers the same fate with high of $10.42 in Sep 14 and now sensing bottom at $4.77. From rallies to peak during periods of 2Q-3Q, 2015 to seeing a drop of between 25-36%, the local three banks were not spared lightly either. Even the usually reliable two telcos - Singtel and Starhub are seeing significant declines of 20% and 22% respectively, with M1 being hit hardest diving close to 40% since its peak early last year. What if you are the unfortunate one who buy into even these “normally safe” blue chips during their peaks of 2013/14/15? What should you do now? This can be particularly worrying in a period where even famous and most successful investors such as Ray Dalio and George Soros are warning of an impending crisis ahead. The biggest worry is to keep doubling down on your so-called value stock that your single stock is now so big that it is more than 30% or even 50% of your entire portfolio. "My view is that an investor is better off knowing a lot about a few investments than knowing only a little about each of a great many holdings." With that in mind, you should actually average down your value stocks strategically and patiently over time. By doing so, you ignore the erratic behavior of the market volatility and focus on the fundamental / value of the business over the longer-term horizon. Sell my losers? Admit my mistakes! Counter-intuitively, consider that you already started losing sleep and have grave doubts on the fundamentals of a stock you own, then you better spend time doing more intense research. If your thesis is proven right, put a halt to averaging down immediately. Logically speaking, you should consider selling the stock at a loss immediately, in order to find better alternative investment. Rather than have your money hoard inside a potential long-term loser. Admitting your mistake takes a lot of courage and this is what divides the mediocre from the skilled. If you do not need the money now, and if the stock you owned is a cyclical stock, which you are very confident that the uptrend will return, then it is perfectly fine to hold on to the stock for now. One reason why you should sell is also probably because you believe the stock will sink further down, and intend to buy back the same amount at a cheaper pricing later. PS: this tactic is comparable to trading then! If Warren Buffett’s philosophy of concentration is not your cup of tea, then you can turn to Benjamin Graham and Peter Lynch who suggest diversification. In my theory of diversification, I will try to limit my biggest holding to be less than 30% of my equity portfolio. The exception is when my biggest holding is my stalwart pillow stock, which I am so familiar with and confident of. With diversification at the hindsight, it can be disastrous to fall into the trap of buying too many companies in the same industry/sector. Furthermore, while diversification is good, there should be adequate but not excessive diversification. Otherwise you can always buy into index / ETF funds, which is one very good way of diversification too! Diworsification is the phrase made famous by Peter Lynch in the investing classic “One Up On Wall Street.” By Diworsification, Lynch is referring to companies who attempted to diversify their business and by doing so, dragged down their overall returns. This is often a common mistake made by individual investor too. Last but not least, do diversify into different asset class outside just equitiy alone. Aside from stocks, you should own cash, bonds, precious metals, and properties (if possible) at any one time. Learn how different asset class can hedge against each other during difficult times. Ray Dalio's All weather fund is proclaimed to have this risk management, resilient characteristics. Yes, as the name suggest "All Weather"! When you attempt to average down or diversify your stocks, remember to have patience! Stock market climb the stairs but take elevator down. It can plummet fast beyond your control, but make sure you do not dish out your cash as fast in tandem too! Do not be so “Kan Cheong”. This is exactly what happened during the start of the year, when many committed this erroneous act. The last thing you want is to dispense all your cash at the onset of a decline, where the bottom is nowhere in sight, any sooner. You can also refer to my earlier post here, providing further explanation. This is the fallacy when you have price-bias on a stock and keep averaging down on a plunging stock, not because you are confident of its value in the long term, but because you feel the need to make back your paper losses. This is known as sunk cost fallacy, and is best explained by my blogger friend Andy of Tacomob! Refer to his well-written article here. 1. If it’s gone down this much already, it can't go much lower anymore! 2. You can always tell when stocks hit the bottom! 3. If it’s gone this high already, how can it possibly go higher? 4. It's only $0.1 a share, what can I loose more? 5. Eventually they will always come back! 6. It's always darkest before dawn! 7. When it rebound to $1, then I will sell. 8. Conservative stocks don't fluctuate much! 9. It's taking too long for anything to ever happen. 10. Look at all the money I've lost. I didn't buy it! 11. I miss that one, I will catch the next one! 12. The stock's gone up, so I must be right or the stock has gone down so I must be wrong. If my value stocks plunge, I will revisit my earlier analysis on the company and see if my due diligence still holds true. If it is just 'market noise', I will average down in tranches. If fundamentals have worsen drastically, then I will have to cut loss. Thanks for commenting. Yes yes yes. Agree with you. Hmmm but the arduous task is to define what is noise and what is fundamental? Take Keppel for instance? There are many dividing views. And more questions like, when to average down, how much to average down, and really to cut loss even if your loss is >50% for a holding 30% ur portfolio? I average down after doing my own analysis but sometimes I can be wrong too! The stocks still keep plunging although fundamentals are intact. My question now is "are Kep, SCI, DBS, or M1 fundamentals intact? How about fundamentals intact such as balance sheet but fwd outlook is changing. not refering to above stocks, let's say Nokia or Kodak, before iphone n digital cameras were invented, fundamentals intact! Even when they were invented during the initial phase, some may still argue Nokia and Kodak are financially strong! Hmm.. so how to decipher? As u mentioned n I agree, It is perhaps not just knowing or understanding, but certainly what count most is "doing" and the "results"! To have success in real battles, u need to read and equip with knowledge, then coin plans way before, n finally take the step down to the battlefield and "show ur guts!" With that, and carrying wit and experiences, (n sword n shield) u will then be able to tame the obstreperous market. I agree with you that fundamentals can only paint a picture of what has already transpired and is not forward-looking. Indeed, the outlook for some of the industries are beginning to change and just like Nokia or Kodak, it may become obsolete as they fail to revamp themselves. Maybe we can draw some confidence from the Management and see how are they adapting to the crisis or innovate themselves to remain relevant. While having a simple business model is great, it takes an astute Management to make a complex business look simple. Aside from the "idiot can run" company, the team driving the company is by and large one of the most important factors for the success of the company. The problem here is by not being a major shareholder, you seriously have little access on the management. Even if you are analyst who has interviewed the management, it means very little, unless the management is utterly transparent which is often not the case! Another factor that most retail investor tend to miss is the competition/threat. It takes more than just to read the annual report, but also to understand the business in the industry. Just my two cents thoughts. average down your cost. do a bit of trading with your existing share. trading lower your cost and will help in the long term health of your portfolio. Hi Seefei - yes yes yes and eat, slowly and beware of indigestion.